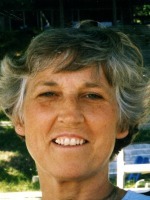 Ardith K. Boulter of Middleville (formerly of Otsego) passed away Tuesday, April 17, 2012 in Hastings, MI. Mrs. Boulter was born March 23, 1937 in Custer, MI to Clarence and Edith (Dixon) Hartman. Ardith was active in the 4-H in her youth and enjoyed showing horses. She graduated from Hastings High School with the class of 1955. Also in 1955, she married Arnold Boulter in Hastings. Together they owned and ran Boulter’s Hardware and Gifts in Otsego for over 16 years. Ardith was very active in keeping the store running smoothly. She was an active member of the Otsego United Methodist Church while they lived in Otsego. Ardith was a den mother, a member of the Gun Lake Women’s Group and an art teacher, she enjoyed spending time in her ceramic studio. She had a great sense of humor and was always willing to share her advice with her children. Ardith is survived by her husband, Arnold; children, Kevin (Robin) Boulter of Delton, Kurt (Teia Wagenschutz) Boulter of Plainwell, Brenda (Scott) Try of Portage and Korene (John) VandenBerg of Martin; 13 grandchildren; 9 great-grandchildren; siblings, Carl “Butch” (Donna) Hartman and Judy (John) Seeberg; many nieces, nephews, cousins and friends. She was preceded in death by her parents and by her brothers, Gary and Bud. Friends may meet with her family from 2-5 pm Sunday at the Winkel Funeral Home, Otsego. Funeral services will be held Monday at 11 A.M. at the Otsego United Methodist Church with Pastor Joe Shaler officiating. Interment will follow at Prairieville Cemetery. Memorial contributions may be made to the Otsego United Methodist Church.